The past weekend proved to be busy, more so than previous weekends. On Saturday we drove to North Wales to escape the rain. We (David, his cousin Keith and myself) did not have any ideas on a destination. We just thought we would drive for a bit, find the rain was all over the North West and come back home again. How wrong we were! We drove on towards Anglesey and the clouds lifted and blazing sunshine and blue vistas surrounded the island! We stopped off at Holyhead and watched as the Irish ferries came into port. There was a brown tourist road sign saying ‘RSPB South Stack.‘ I checked Google and the website said it was one of the best places for wildlife!! So we decided on going there. We spent the next three hours walking the coastal pathway, wandering down uneven steps (me, in a a dress and heels!) towards South Stack Lighthouse and spotting some butterflies flitting about the wild flowers. Amongst the days highlights included: A Puffin, an Osprey, Stonechats, Silver Studded Blue and a Meadow Brown Butterfly. The Sunday was my nephew Nathan’s 5th birthday party! 5 years have gone by so quickly! David, Mum and I went to his garden party. 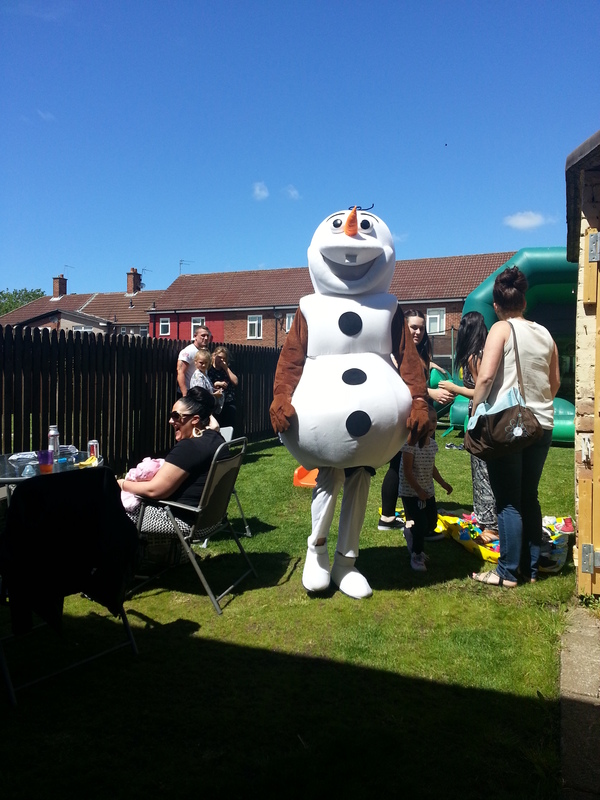 The children all had a visit from Olaf, the snowman from the film Frozen!